A classical computer is based on both a hardware, i.e., a suitable set of micro-sized wires typically patterned on a silicon chip, and a software, i.e., a sequence of operations or code. Such operations are realized as electrical signals ‘running’ through the wires of the hardware. The combination of hardware and software is termed a computational architecture. In the mid 1940's, John von Neumann, J. Presper Eckert, and John Mauchly revolutionized the abstract concept of a universal Turing machine by proposing the eponymous ‘von Neumann architecture.’ Their implementation, which involves a central processing unit and a memory to hold data and instructions, provided a practical approach to constructing a classical computer, a design that is at the heart of almost every computing device made today. In the past decade, researchers in various fields, from nuclear magnetic resonance to quantum optics, from trapped ions to semiconductor- and superconductor-based quantum circuits, have been able to create and control in the lab many of the building blocks at the basis of what, in the near future, could represent a quantum computer. As a classical computer is based on bits, a quantum computer is based on quantum bits (qubits), 0 and 1. One of the main differences between classical bits and qubits is in that a qubit can be prepared in a so-called superposition state, where both states 0 and 1 are possible at the same time. In addition, in a quantum computer pairs of qubits can be prepared in ‘mixtures’ of two-qubit states, which are called entangled states. The immense power of a quantum computer resides in the combination of superposition states and entangled states. This combination will eventually allow us to perform calculations much faster than with any classical computer and to solve problems that would be otherwise impossible by classical means. One of the critical challenges of quantum computing is to assemble together in a single machine all the hardware components needed for a quantum computer and to program these components using quantum codes, thus allowing us to implement a quantum-mechanical computational architecture. In particular, such an architecture should be scalable and immune from computational errors. 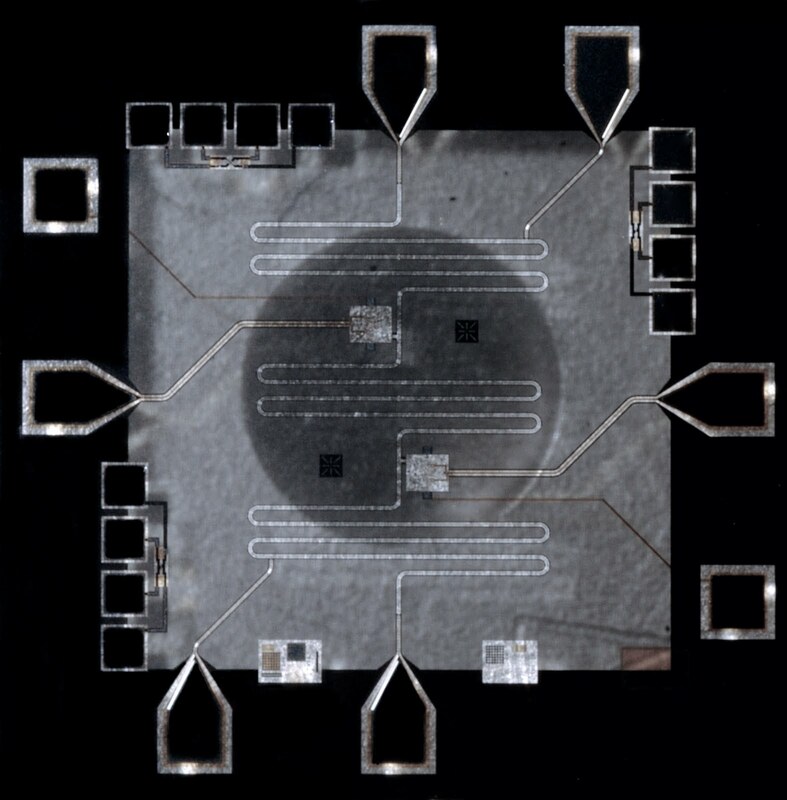 This would represent a so-called scalable fault-tolerant quantum-mechanical architecture. At University of California at Santa Barbara (UCSB), in the group headed by John Martinis and Andrew Cleland, we use superconducting quantum circuits as qubits. These are wires typically made of aluminum that, once cooled below a temperature of approximately -272 degrees Celsius become superconduting, thus drastically reducing dissipation effects and noise. When cooled further down to almost absolute zero temperature, our superconducting wires start showing a quantum mechanical behavior. In such a state, an immense number of electrons begins moving collectively, as a part of a single entity. Two different ‘positions’ of this immense number of electrons moving together can then be used to create the two states 0 and 1 of a qubit. In the past years, at UCSB as well as in other labs worldwide we have shown that it is possible to prepare and control systems with a few qubits (up to three). In particular, we have shown superposition states and entangled states, and we have been able to perform simple quantum logic gates using one and two qubits. However, qubits alone are insufficient to implement a quantum-mechanical analogous of the von Neumann architecture: A quantum memory is needed. 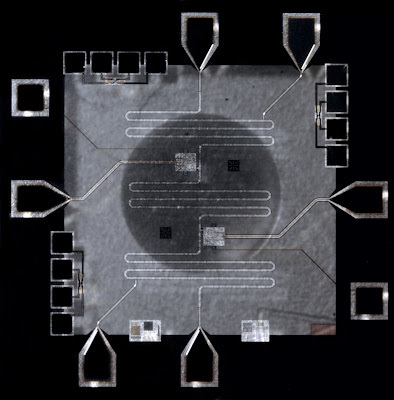 In the experiment to be published in the journal Science , we were able to fabricate a fairly complex quantum circuit comprising all the elements of a quantum von Neumann machine, integrated on a single chip. Our quantum machine includes a set of two qubits that can exchange quantum information through a so-called quantum bus. We can address each qubit and prepare it in a superposition state, and we can entangle two qubits via the bus. The two qubits and the quantum bus represent the quantum central processing unit (quCPU) of our machine. Most importantly, we were able to provide each qubit with a quantum memory. A key characteristic of our quantum memories, which are also based on superconducting wires, is that they can hold quantum information for a much longer time than the corresponding qubits. In this manner, as soon as quantum information has been processed by the quCPU, it can safely be stored into the memories. The quCPU can then be used again to process more quantum information, while storing the original quantum information in the memories. The memories can store the original quantum information for a time long enough that, if that information is needed later in the computation, it can be read out and re-used by the quCPU at any desired time. We also provided our machine with the quantum-mechanical equivalent of a delete button, a so-called zeroing register, where used-up quantum information can be dumped from the quCPU, freeing it up. Our memories and zeroing register thus realize a true quantum random access memory (quRAM). We term the combination of quCPU and quRAM as the quantum von Neumann machine. We tested our quantum von Neumann machine by running a proof-of-concept quantum code that makes use of both qubits, the coupling bus, the memories, and the zeroing register in a single long sequence. In addition, we ran two key algorithms for quantum information processing: The quantum Fourier transform and a Toffoli gate. The quantum Fourier transform is probably the most important block in Shor’s algorithm for the factorization of large numbers, while Toffoli gates are at the basis of measurement-free quantum error correction. The latter is necessary to show a fault-tolerant quantum-mechanical architecture. The UCSB team of researchers was led by myself, Matteo Mariantoni, Elings prize fellow and postdoctoral fellow in the Department of Physics, Andrew N. Cleland, professor of physics, and John M. Martinis, professor of physics. Our USCB quantum computing team, composed by numerous students and postdocs, largely contributed to the infrastructure used in the experiments and in the development of the concept of the quantum von Neumann architecture. I believe that our quantum-mechanical implementation of the von Neumann architecture will serve as a guideline in the further development of quantum computing, not only with superconducting quantum circuits, but also with trapped ions and semiconductor devices. Dr. Matteo Mariantoni was supported in this work by an Elings Prize Fellowship in Experimental Science from UCSB’s California NanoSystems Institute. The work was performed under funding from the Army Research Office and by the Intelligence Advanced Research Projects Activity (IARPA). Devices were made at the UCSB Nanofabrication Facility, a part of the NSF-funded National Nanotechnology Infrastructure Network. M. Mariantoni, H. Wang, R. C. Bialczak, M. Lenander, E. Lucero, M. Neeley, A. D. O’Connell, D. Sank, M.Weides, J.Wenner, T. Yamamoto, Y. Yin, J. Zhao, J. M. Martinis & A. N. Cleland, "Photon shell game in three-resonator circuit quantum electrodynamics". Nature Physics, 7, 287-293 (2011). Abstract. M. Neeley, R. C. Bialczak, M. Lenander, E. Lucero, M. Mariantoni, A. D. O’Connell, D. Sank, H.Wang, M.Waides, J.Wenner, Y. Yin, T. Yamamoto, A. N. Cleland & J. M. Martinis, "Generation of three-qubit entangled states using superconducting phase qubits", Nature, 467, 570–573 (2010). Abstract. L. DiCarlo, M. D. Reed, L. Sun, B. R. Johnson, J. M. Chow, J. M. Gambetta, L. Frunzio, S. M. Girvin, M. H. Devoret & R. J. Schoelkopf, "Preparation and measurement of three-qubit entanglement in a superconducting circuit", Nature, 467, 574-578 (2010). Abstract. 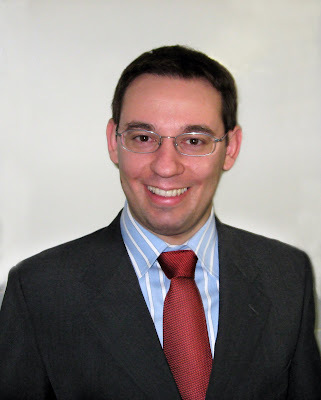 Matteo Mariantoni, H. Wang, T. Yamamoto, M. Neeley, Radoslaw C. Bialczak, Y. Chen, M. Lenander, Erik Lucero, A. D. O’Connell, D. Sank, M. Weides, J. Wenner, Y. Yin, J. Zhao, A. N. Korotkov, A. N. Cleland1, John M. Martinis, "Implementing the Quantum von Neumann Architecture with Superconducting Circuits", Science, DOI: 10.1126/science.1208517 (published online September 1, 2011). Abstract. Wow! Can see the onset of a revolution. Good to see that innovation never stops ... even when the global economy looks gloomy!